With today’s fast-paced technology, entertainment has taken a completely different form. Gone are the days of only catching movies at cinemas and we’ve long said goodbye to grainy films with low picture quality. Today, it’s all about having an immersive, almost life-like viewing experience. Now, you can have it at home. Tech giant LG and streaming pioneer Netflix have come together for the ultimate viewing experience in the comfort of your own home. Now, all you have to do is turn on your LG OLED TV and pick your favorite show or movie from Netflix’s wide array of selections. “At Netflix, we have acclaimed movies and TV series from around the world that are best enjoyed in 4K and UHD. 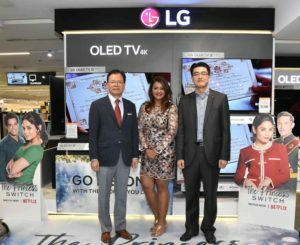 That is why we are pleased to have apartner like LG, which has the technology to bring viewers the ultimate entertainment viewing experience through their amazing OLED TVs. At the end of the day, we share a mutual passion for delighting our customers,” said Tony Zameczkowski, Vice President of Business Development – Asia, Netflix. “We’re very excited with this new partnership with Netflix. 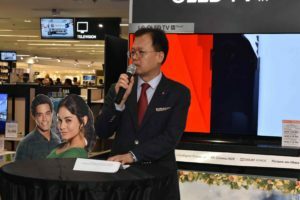 We know millions of people subscribe to Netflix to watch their favorite shows, so we created these TVs with its own unique features so everyone will have the best viewing experience every time,” shared Mr. Jongnam An, Vice President of Home Entertainment at LG Philippines. Four state-of-the-art televisions from LG’s OLED line have been named official Netflix Recommended TVs. To be an official Netflix Recommended TV, LG has met the following criteria: fast app launch, a dedicated Netflix button, easy access Netflix icon from the TV menu, TV resume function, and having the latest version of the Netflix TV app with all its latest features. All Netflix Recommended TVs from LG are equipped with top-of-the-line technology: LG’s trademark ThinQ® AI technology with Google Assistant, an Intelligent processor, LG’s pioneering OLED display, 4K Cinema HDR, and the most advanced Dolby Atmos® sound system. 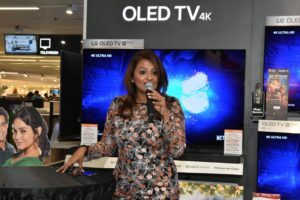 The most notable from the line-up is the 55-inch B8, also known as LG’s 30th Anniversary OLED TV, has the α7 Intelligent Processor, which makes switching through different functions — from TV to Netflix to browsing the Internet — a breeze. The OLED screen is also equipped with the Full Array Dimming Pro feature and its crystal clear Nano Cell™ Color Pro Display. It is the most competitively priced OLED TV in the Philippine market today. To launch this partnership, LG and Netflix are doing a roadshow on Nov 28 to showcase just how amazing it is to watch your favorite shows and movies on a brand new B8 OLED TV with its billion color technology for crisp contrast, truest blacks, and unbelievably vibrant colors. The LG B8 OLED TV is available at Abenson, Anson’s, and SM Appliance Center. The best part: Every purchase of the LG B8 OLED TV comes with six months free access to Netflix! Ms. Dipashree Das, Netflix’s Head of Partner Marketing for Southeast Asia and Taiwan, gives her welcome speech to celebrate the partnership of LG and Netflix. Can’t decide what to watch on your LG B8 OLED TV? We have several suggestions. If you’re a fan of romantic comedies, you’re going to fall head over heels with the latest Netflix Original Movie “The Princess Switch”. Vanessa Hudgens stars as both Margaret, the Duchess of Montenaro, and Stacy, a humble baker from Chicago. The two look-alikes decide to switch lives to find out more about their two very different worlds and in the process fall in love with different people. A recreation of Stacy’s bakery at the SM Appliance Center transported guests to her humble bakeshop in Chicago. The movie is filled with heartwarming comedy that’ll surely get you in the Christmas spirit. 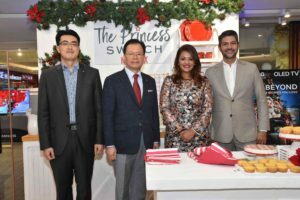 “The Princess Switch” premiered on Nov 16th on Netflix. Visit the SM Appliance Center at SM Megamall and catch a special Netflix set-up using LG OLED TVs to celebrate the new found partnership. Since its first episode in 2016, “Stranger Things” has become a worldwide phenomenon. It has taken over pop culture with its lovable characters and scary good plot-lines. In fact, the show has become so popular that Netflix has declared November 6th — the day Will Byers disappeared — as the official Stranger Things Day. People have been known to finish watching both seasons in one day! A spot-on recreation of the Byers family room emerged at Anson’s The Link and brought everyone to Hawkins, Indiana. So if you love suspense and excitement, join Eleven, Mike, Lucas, Will, Dustin, Joyce, Chief Hopper, and Steve on their adventures. 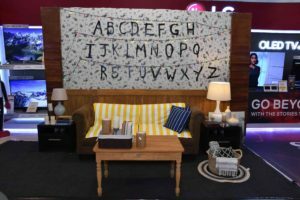 Visit Anson’s at The Link, Ayala Center in Makati to catch a glimpse of the “scary good” Netflix set-up featuring LG OLED TVs. A recreation of the Byers’ family living room setup at Anson’s The Link. Roughly one month before Christmas, Netflix will premiere another original film starring Keri Russell as jolly old Santa Claus. “The Christmas Chronicles,” tells the story of siblings Kate and Teddy Pierce and their mischievous plan to capture Santa Claus on Christmas Eve. When things don’t go as planned for the siblings, they team up with Santa Claus and his elves to save Christmas. Santa even paid a visit to Abenson BGC, where he was welcomed with a festive chair and a glorious Christmas tree. It’s the perfect movie to enjoy with the whole family. “The Christmas Chronicles” premiered on Nov 22nd on Netflix. Drop by Abenson at Bonifacio Global City to take the perfect photo with Santa Claus at “The Christmas Chronicles” set up and a festive Netflix set up with LG OLED TVs. 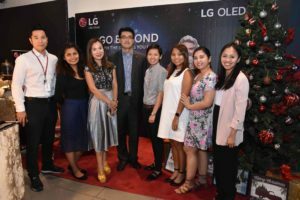 LG Philippines VP for Home Entertainment Mr. Jongnam An’s team together with Abenson’s Senior Marketing Manager Ms. Apple Ma’s team pose in front of “The Christmas Chronicles” setup at Abenson BGC. With LG’s Netflix Recommended B8 OLED TV, everyone’s in for a smarter and more exciting movie night at home. Honor 10 Lite launches in the Philippines: Full Specifications and Features! Like us on our Facebook Page!